The majority of colleges prefer that applications are completed online. Make sure college entrance requirements and application deadlines are met. Check application status online to make sure that all sections have been received. Watch for postings and information on college visits, open houses, and scholarship opportunities. Please allow 1 week for the Counseling Office to process the application. Please allow 1 week for the Office to process your transcript request. 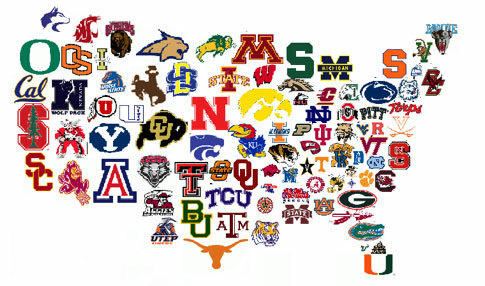 Select Destinations – colleges, scholarship funds, NCAA, etc. 1. Talk with your counselor and teacher(s) about writing any required recommendation(s). 2. Email teacher(s) and counselor (as requested on the Common Application). 3. Complete application with any required essay and pay the application fee online. SAT-www.collegeboard.com (if not previously sent during SAT/MME). 5. If required, print “High School Counselor Form” by the college/university. Right-hand corner, to the Counseling Office. NAIA registration is required for nearly 300 member institutions that make up the National Association of Intercollegiate Athletics (NAIA). See “Transcript Requests” above to send transcripts to NCAA Clearinghouse and NAIA.